Which Should You Choose—Condos or Penthouses? Home » Urban Living » Are You a Condo Person or a Penthouse Person? Are You a Condo Person or a Penthouse Person? For many people, San Diego penthouses downtown are the ultimate symbol of luxury. Being able to live on the highest floor of a condo does come with some great advantages, but it’s not always an ideal option. Regular condos at other levels of a building also have many benefits. 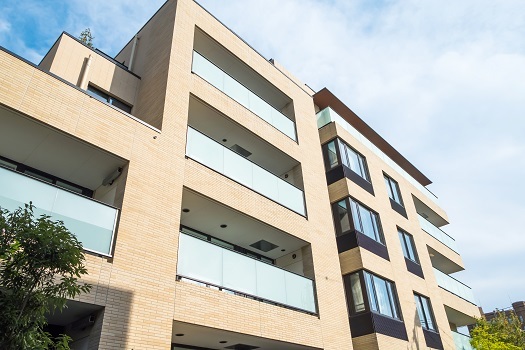 When deciding between a typical condo and a penthouse, take the following factors into account. One of the main reasons people go for penthouses instead of other types of living spaces is the privacy. Penthouse owners often have their own stop on the elevator, so they don’t have to encounter other neighbors while walking through hallways. The height means they’re far above the noise and bustle on the city street, and since they don’t have upstairs neighbors, they don’t hear people clomping around on the ceiling. A traditional condo is normally a budget-friendly option. The penthouse for any building can cost far more than other living spaces at the same exact location. The higher cost is due to the extra amenities and prestige associated with a penthouse, but many people don’t feel the costs are worth the benefits. Those on a tight budget may want to stick with a condo. Penthouses come with many unique perks, including things like a fireplace, hot tub, and other luxuries condos don’t typically have. The view in a penthouse is often far better than a condo, with more light and higher ceilings. A huge perk for many people is the prestige associated with having a penthouse. Being at the top of a building can come with some issues for penthouse owners. They’re the first to experience roof leaks and storm damage. All of the nice outdoor spaces penthouse owners often get can also result in more maintenance because they have to take care of landscaping. If you don’t want to have extra work to do on your property, you might want to consider buying a condo in downtown San Diego instead. A huge advantage of a penthouse is all the extra space both inside and outside. Most condominium complexes have multiple condos on the same floor, but a penthouse takes up the entire width and length of the building. Penthouses typically have a more open layout than condos, with larger rooms and more bedrooms and bathrooms. In many cases, some of this extra space is turned into outdoor areas like a rooftop garden or terrace. There are some logistical issues associated with having a penthouse. In the case of a fire or other emergency, it will be harder to leave the building or get help from emergency responders. Daily things like leaving and entering the penthouse will take a little longer, and you may have difficulty maintaining the temperature since you’re exposed to the outdoors so much. Whether you decide on a condo or a penthouse, there’s plenty of amazing real estate for sale in downtown San Diego. Contact the trusted real estate agents at 92101 Urban Living today to see the latest properties on the market. Call 619-649-0368 and one of our friendly agents would be happy to assist you.